Ferrari factory original circa 1988 Ferrari GTB Turbo / GTS Turbo Lubrication System Workshop Poster. 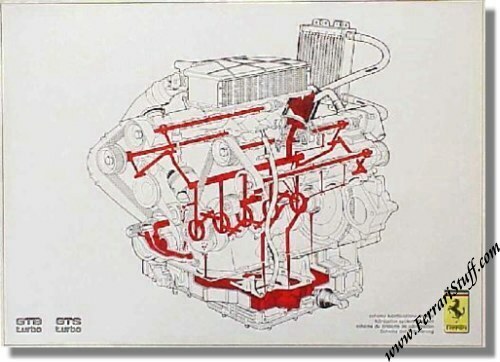 This Ferrari poster is a true Ferrari "Internal" item as they were never intended to be distributed amongst the general public but to Ferrari Workshops only. No Ferrari Print Number yet an official Ferrari factory issue.